If you are a musician, a composer, or a conductor, you probably have sheet music everywhere in your home. Instead of having all the pages spread out everywhere, why not keep it confined to a specific storage space? Affordable Family Storage in Ozark has the steps you should take to pack and store your sheet music. Sheet music can get chaotic very quickly. Whether you have music for one instrument or music for an entire symphony or orchestra, the pages add up and are rarely in the right order. Before you move your sheet music to a storage space, we recommend taking time to sort and organize everything. Put all the pieces from the same composition together and make sure you have the complete set before moving on. Once you have all of your sheet music organized, it’s time to start the next step in moving them into a storage space. Since sheet music is paper, it is fairly susceptible to damage. To counteract this possibility, protect each sheet music set with plastic. Binder page protectors are an easy solution, or you can invest in specifically-designed sheet music protectors. While this can feel like a time-consuming process, it really does pay off in the long run. After you have your pages organized and protected, it’s time to sort! Music can be categorized in many different ways, so it’s up to you to choose the way that works best for your needs. If you have a lot of music from the same composer, you may choose to sort by composer and then by title. If you have music from a variety of genres, you may want to sort alphabetically by style. You have the best understanding of what sheet music you have, and you must create a sorting system for your storage space that will make your life easier later on. After deciding on your sorting system, place the sheet music in containers and create labels so you can easily find whatever music you are looking for. 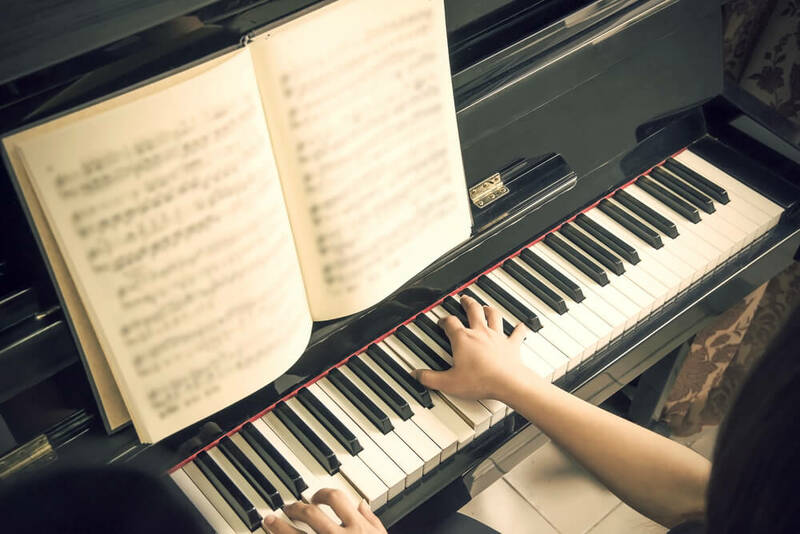 Even though you have placed the sheet music in protective coverings, there is still a risk of damage if you are not careful. The storage space you choose for the sheet music should be climate-controlled and free of excessive moisture. The sheet music should also not be under constant bright lights, as it can fade the ink over time. If you are looking for a storage space for your sheet music, come check out Affordable Family Storage in Ozark! Our storage units are climate controlled and are perfectly suited to a broad range of needs. You'll find us up the hill from the Historic Ozark City Square at 601 E South Street in Ozark behind Casey's and near Iguana Roja, China House, and Buckingham’s BBQ.